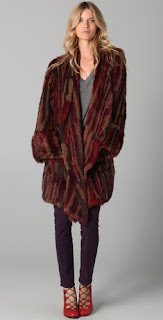 Something Extra: Be a little over the top this holiday season with a seriously luxurious fur coat. Below are some of my ultimate faves. Click the picture to shop the look. Love the texture to your fur. Can't stop wearing mine either!! You look real beautiful with this amazing coat! Love it and your chunky rings! You look SO posh and chic with that coat!!! Like a celebrity!!!!! OMG. You are so fabulous. This is my favorite outfit yet. You look so chic. And I love your earrings. You're just getting better and better. YOU LOOK BREATHTAKING!!! I was going to order myself the same looking coat and now seeing it on you makes me even more happy to do that. You look awesome!!! and love the selction you made! wonderful! i love this coat. it suits you so good! oh my gosh, oh so totally fabulous...and luxurious. love all of the other faux fur photos. You look lovely. That coat is beautiful! I love your hair too...if only mine was lovely and long! Definitely entering he giveaway. Those earrings are amazing! Absolutely fabulous! I was watching 'The Rachel Zoe Project' last night and your outfit reminds me of one the looks she styled for a magazine. P.S I can't believe you met Jessica Alba! Looking for the perfect faux fur vest this season. I liked your FB...those earrings are fab! I cannot wait for it to get cold enough here in NY to break out my faux fur! :) You look adorable and I love this faux fur coat! I am a new follower! I absolutely adore your bag! I've never been into the faux fur trend, but that's slowly starting to change. Those earrings are gorgeous, too. And my birthday is on Dec 18th!! love your hair do, the fur, and ur rings, superb. Is this Giveaway is International??? You look stunning with that fur coat!Love all them! Fabulous outfit and looks comfy too. I am pro faux all the way! Very nice earrings. I Liked Pop of Chic and Fash B as Lisa Marshall and Follow Fash B via B'lovin. So count me in sweetie. I love the coat as well. i love everything about this post. This is my favorite post so far. I love all the rings. You look stunning. How do you always get your hair so wavy? I've tried so many times but it either gets really curly or just falls straight. Tips? Obsessed with your earrings. Beautiful, as always. I LOVE THIS COAT. and the purple shirt under it. love love your hair like that! And the coat is great! I entered the giveaway! 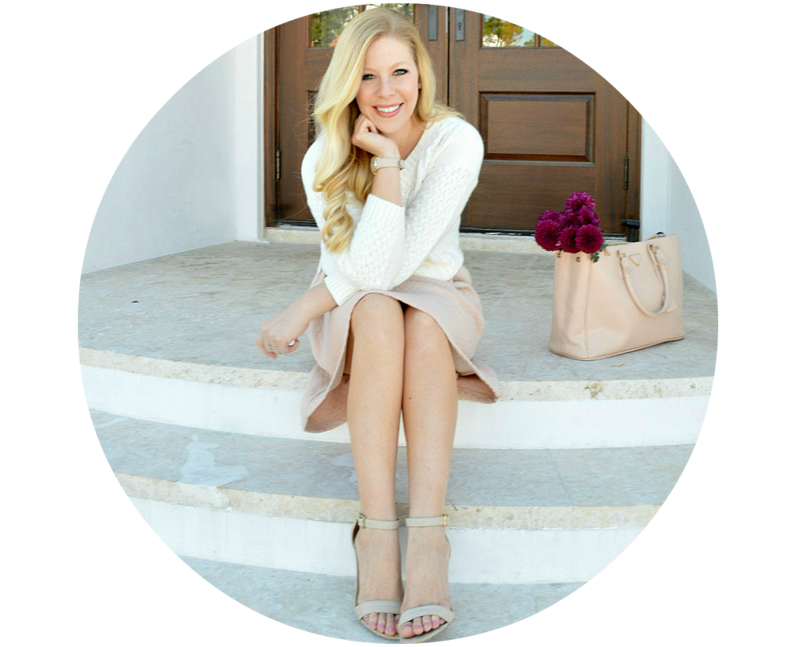 Don't forget to come by my blog and enter our week of giveaways! Enter all three or just one! They are super fun! Count this as my entry! Love the earrings, and the fur coat trend is so fun! I love your coat! Its so cute! cute cute cute fur coats!! You look like a movie star. I can't believe how fast your blog is growing. your red ring is great, cool outfit! pixie lott is so cute in her coat :) love the other looks too! Your fur coat is stunning, I love it. I also like the whole outfit. That faux fur is so fab! love it! Hi Anna, you look amazing!!!!! I really like your faux coat!! A few days ago I posted about Egyptian jewelry (Louvre Museum), i think you would like!! If you have time take a look i really appreciate your opinion :D Have a nice day!! Love that you added a pic of Suri in her faux fur!! I liked the fan page, followed you on bloglovin' and tweeted! Great giveaway. I adore the earrings! You look better than all the stars you posted. How fun is this!? You look amazing! I have faux fur coat on my Christmas list :) Really hoping for one -- otherwise I'll buy it for myself with Christmas money! Sorry I haven't commented. I have less than two weeks of graduate school and I am a friend mess. I love the faux fur and have requested something, anything faux fur for Christmas! I hope Santa has me on his nice list! I don't think I could pull off that white & black coat you have, but something a little more earthy would be great! You can totally pull it off though and for that I have a tinge of jealousy :) (The good kind) You can totally rock it thought, Chica!! I love all your rings. You're such an icon. DONE! DONE! DONE!!! I really want This!!!! I "liked" both pages! Hope I win! I love your coat! It really is the perfect statement piece. Such a fun trend and I love that it's everywhere right now. I love, love, love everything about this look! That coat is just amazing and what you've paired it with is so simple and chic. I want all of these pieces! That fur coat is gorgeous! It makes even your ripped jeans look so glamorous. I don't think I could pull off a fur coat, but I definitely want to dabble in the fur trend by trying a furry vest or fur collared vest. love your fur coat! i love fur coats too something about slipping one on looks and feels so luxurious!! You're rockin in that faux fur coat! I've been eyeing a faux fur vest myself. I'm a follower of all. Cute! I love absolutely everything about this outfit. The jacket, the accessories, your hair....you look fantastic! So fun, trendy, and chic. Fantastic! I "like" Fash Blvd on fb! I "like" Pop of Chic on fb!! Im obsessed with your fur coat!! And of course I entered the giveaway!! That coat is so over the top and absolutely gorgeous!! I love it! Followed u on bloglovin as well. Fingers crossed! Love it!! So luxurious and just the ultimate not-necessary-but-gotta-have-it piece to make you feel like an old Hollywood star. I love absolutely everything you are wearing!! LOVE the faux fur coat!! This is definitely on my wish list! Such a great trend. I love how you tuned down the extravagance of the fur coat by wearing ripped jeans. this coat looks incredibly soft! and the black and white color pattern makes it very versatile. thanks for the comment! I'm a fan of Pop of Chic on Facebook! I liked Fash Boulevard's page on facebook! Following Fash Boulevard's blog now! So excited about that! this is super pics and nice look. I love it! I'd love to enter the giveaway - I liked the Fbook pages and Bloglovin' one and Tweeted too (MdemoiselleLala). omg you look so stunning! we are so much in love with your faux fur! Pero que guapísima estás!!!!! Me encanta la chaqueta. followed you on facebook a while ago and am now following you on blogspot. Also fan of Pop of Chic. I love your jacket and your jeans, so nice. im still searching for my perfect faux fur... yours is so pretty! i was just thinking the other day how i am kind of liking the faux fur coat trend. it's sort of fun for the cooler months. OMG, I am IN LOVE with your coat!!! I need to go get one now, or drop hints for Christmas! I know fur is in but I haven't seemed to find just the right piece. It looks so cozy and warm. What a great jacket! Love the rest of your look! Wow, you look amazing in this outfit, I thought it was Rachel Zoe for a moment!! I love faux fur and my own faux fur coat will certainly be getting lots of outings now that winter has arrived! cool blog!! amazing look, love your fur!! Take a look and if you like we can follow each other? BEST. POST. EVER. you look amazing. You hair looks flawless and your outfit is perfect. I want everything. The deep purple and the ripped jean really make this wearable. Spot on styling my dear. Fabulous. You blog never lets me down. Loved your faux fur and your bag! Thank you for commenting on my blog. Done on all counts honey! YOu look FAB! Awesome coat! Love your pictures and I am definitely feeling the faux fur coat trend. There is this crimson red one at BEBE that I am in love with!!! You look so fab in your fur!!! I'm a fur (faux) girl myself!! that coat and your hair is amazing!!! I love the jacket and the braid!! As always, thanks for coming back my blog! I really appreciate it! The faux fur trend is really growing on me! I liked both pages on FB and I'm now following you on Bloglovin'. This is my first giveaway, woo! Oh my gosh. You are so amazingly stunning. Really love your coat and jewelry! Amazing giveaway and i'm a huge fan of faux fur. I really like this black and white coat because I usually wear brown ones. I think this looks amazing on you and your rings are adorable. Such a cute line when you said whether you're surrounded by cows or bumper to bumper taxis. You're so right, any girl anywhere should feel comfy and warm in faux fur. Absolutely fabulous giveaway. I die for these earrings! Love Pop of Chic! Fab Earrings! ohhh i love your coat! you look so fab! 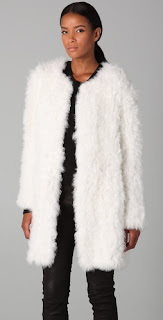 ive been on the hunt for a faux fur coat so bad! that antik batik rabbit coat is AMAZING! if only I could find a faux fur version! I seriously am OBSESSED with these earrings. I fell in love with them when I was looking at the post and then when I got to the bottom and found out you were giving them away I freaked out!!! I followed on bloglovin (since obviously I was already a fan on Facebook...) and tweeted! I just love the faux fur trend- so 70s retro chic:) And the earrings are to die for too. I absolutely love your faux fur coat! They are timeless and so glamorous, aren't they? Your rings are so gorgeous! I want! :) Beautiful outfit! Ummm I love fur. Faux fur that is. It is fabulous! And I love the faux fur vests with skinny belts and elephant(wide leg) jeans. So wonderful! I love your red ring! So big and fun! And I love the faux fur! I'm not brave enough to go so bold but I might be willing to try something similar. So pretty! I LOVE Fur Coats!!!! They are the best things about winter!!! OMG! Look at you. That faux fur makes you look like one of the celebs. Love it! And what an awesome Giveaway. Have liked Pop Of Chic and Fashboulevard on Facebook. Keeping my fingers crossed, hoping the lovely earrings will be mine. that faux fur coat looks fabulous on you ! love your hair ! 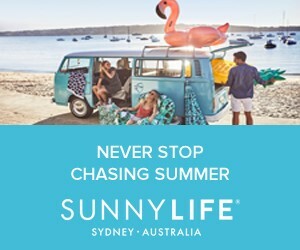 Yip, you're almost making me want winter back and the sun has just arrived in Melbourne!!! Loving the faux fur and the big red coloured ring you are wearing is incredible. Thanks for commenting on our blog BTW. you coat is amazing! loving these shots of you!! LOVE the look. Not sure I could pull it off, but I love it! Totally love your braids and the necklace! 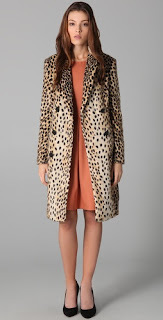 The coat is a perfect item to throw on the go, especially now when the temperature drops over here! Thank you for your really nice and lovely comment you left in my blog! I really appreciate that :) And I appreciate more coming from you: a super stylish girl!! i completely agree with what you said about the fur coat being a staple piece..i would be lost without mine and it keeps me very warm! your little plait is really cute too.. I have a faux vest but need to get a faux coat! Super cute! I love jackets with fur. Amazing coat! Love this fur trend ! Oh wow, that one is really cool. Wow, I love your coat and your rings! I completely think faux fur coats are in. 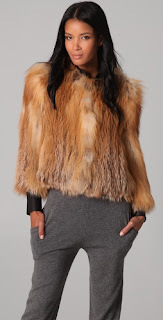 In fact, I have a faux fur vest on my Christmas list! Great outfit!! Love how you styled the coat and those rings are gorgeous! i love faux fur coats! Visit Anna James's profile on Pinterest. ©Copyright 2013 FashBoulevard.com - Header Art By: Brittany Fuson. Powered by Blogger.